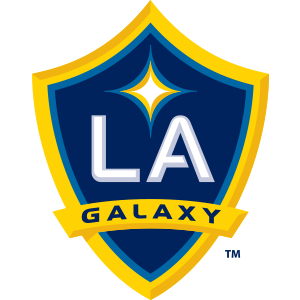 LA Galaxy promotes responsible drinking and positive fan behavior at Stubhub Center. The Galaxy Fan Code of Conduct and details of the Galaxy alcohol management plan that appear below ensure that supporters have a safe and fun experience. Fans enjoy the soccer experience free from fighting, *thrown objects, attempts to enter the playing field, political or inciting messages, and disorderly behavior, including foul, sexist, racial, obscene or abusive language or gestures. Fans promptly and carefully return the ball to a stadium staff member or the ball kid on the sidelines in the event that a soccer ball enters the stands. *NOTE: The use of streamers and confetti as an expression of fan enthusiasm is not prohibited, but will be kept under review. Streamers are not to be used to impact the competition and/or thrown at or toward a player, referee or stadium staff member. The facility and its food and beverage concessionaires have adopted an alcohol policy that is designed to protect guests and the community from alcohol-related incidents. Public concession stands will not serve alcoholic beverages after the 60-minute mark of a soccer match, or the equivalent for other events, including lacrosse, tennis, concerts, or at the discretion of management. There shall be a maximum limit of two alcoholic beverages sold to each guest, per purchase. The facilities food and beverage concessionaires will implement ongoing responsible alcohol management training sessions for its serving staff. We reserve the right to deny entry to guests that appear to be intoxicated. Any intoxicated guests causing a disturbance during an event, will be asked to leave the facility and may be subject to arrest. Designated drivers who make this pledge at LA Galaxy home games receive a free soft drink and are entered into the Major League Soccer Responsibility Has Its Rewards Sweepstakes.